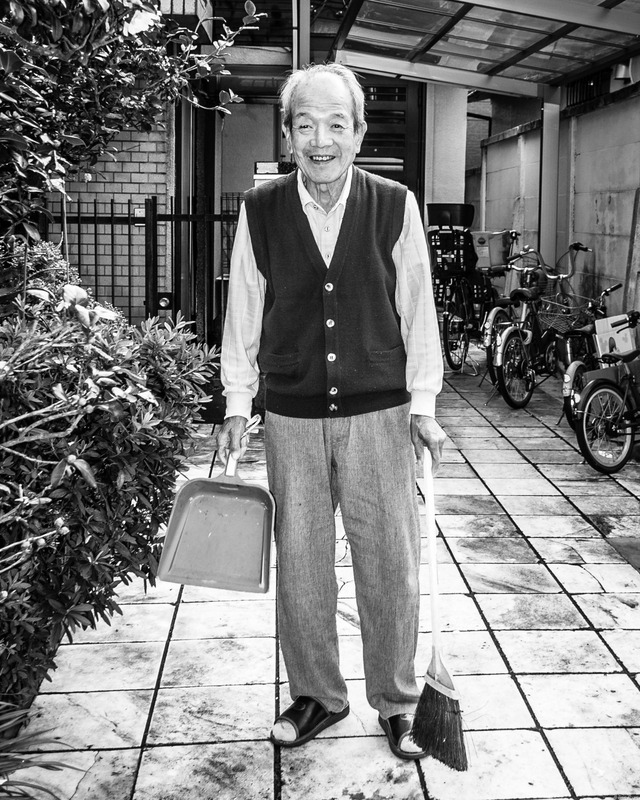 When I visited Tokyo in 2012 and 2013, across the street from the building where I rented an apartment I’d frequently see an old man in the early morning doing calisthenics in front of his house. Sometimes in the late morning or early afternoon, I’d see the old man having a cigarette in the same spot where he exercised. I’d always see him when I was outside smoking myself, since I couldn’t smoke in my building. We became familiar sights to one another, typically either smiling or waving at each other, or exchanging spoken greetings like ohayō gozaimasu (good morning). In 2015 I stayed once again in the same building and expected to see the old man doing his familiar things again across the street. But I didn’t, and I became upset about it. I was genuinely worried that the old man had moved away, or been put into a rest home, or had died, and that the last time I saw him in 2013 was the last time I was ever going to see him. A week passed during which my concern grew, until finally on my eighth day in the city I saw my beloved old man across the street sweeping up leaves that had fallen in his courtyard. I was so relieved I wanted to cry. Instead, I grabbed my camera and approached the old man to ask if I could photograph him, something I’d never done before. I wanted a souvenir of him, something I could have to remember his face, his wrinkled beauty, to remind me of how a small, almost non-existent relationship spread out over a number of years could have weight and comfortable importance. At least to me. I asked him in broken Japanese for a pikuchā and he happily agreed while a wave of recognition passed across his face. Then I said thank you to him and went back to my apartment while he continued sweeping. I didn’t see him again for the remaining 17 days I was in Tokyo. Once had to do. I really hope I see him again when I go back to Tokyo in 2017. But if I don’t I’ll imagine that it’s because of bad timing, and say a silent Buddhist prayer that if he died he died happy and easy. Then I’ll say another prayer thanking karma and good fortune that I carry a camera, if the Buddhists even have a camera prayer. I was hoping you’d give this a full read and enjoy it. Glad you did both.